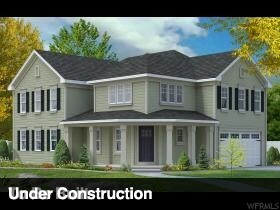 "Beautiful new 4 bedroom 4 bath home with finished basement. Gorgeous master suite with spacious master bathroom including garden tub, tiled shower and double vanity. This unique home features wrap around porch and plenty of windows to let in the natural light. Perfect east side location situated close to downtown. Fully landscaped yard...."
To view homes, call (801) 829-1560. Your voice message will be delivered immediately. Tony or an agent from his team will get back with you ASAP. Or, REQUEST A PERSONAL SHOWING of 908 E Queensmill Ln #208 with Tony Fantis or his team of Realtors®. Listing courtesy of Hamlet Homes IV Corporation. This house is listed for sale at $588,461 in Salt Lake City, Salt Lake County, UT and is in or near the following neighborhood: Millcreek. The house is located at 908 E Queensmill Ln #208 and has 4 bedrooms and 5 bathrooms. This House has been listed for sale for 78 days. The seller's legal agency is provided by Amber Larsen at Hamlet Homes IV Corporation. As a house buyer, you are entitled to have your own legal agency by choosing a Realtor® to represent your interests. Call us today to get started with your own buyer's agent. You can reach Tony Fantis, Realtor® directly at 801-541-8806.